The World Investment Forum 2018, a biennial event organised by the United Nations Conference on Trade and Development (UNCTAD), will hold a session on health this year jointly with the World Health Organization. The session will address the need for investment in the development of new antibiotics, hoping to raise interest among investors. 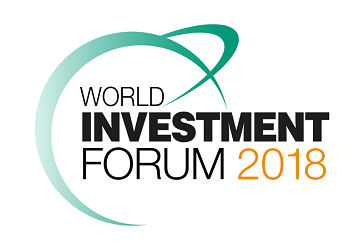 The World Investment Forum 2018 will take place from 22 to 26 October. Fostering investment in the development of new antibacterial treatments will be the focus of an event co-organised by UNCTAD and the WHO on 23 October. The event is convening funders, researchers, governments, industry, and civil society. Beyond being a health issue, antimicrobial resistance is also an investment problem, Christoph Spennemann, officer in charge, Intellectual Property Unit, Division on Investment & Enterprise at UNCTAD told Intellectual Property Watch. Antibiotics are an unattractive market where companies do not want to invest, he said. Governments are trying to put together solutions, funding mechanisms to promote the development of new antibiotics. “But this alone does not seem to be sufficient and for that reason we feel there is a need to have this meeting to coordinate and to specifically work with investors and private companies,” he said. The programme [pdf] includes three panels, Spennemann explained. The first panel will review the existing funding mechanism, and look for potential incoherence in funding. For example, he said, it might be that some company receives funding for upstream research but does not get enough to go into a later phase such as clinical trials. A representative from the University of Tokyo Edge Capital Japan Fund will present reasons why the fund invests in Bugwork Research, an Indian company (speaking on the second panel), despite antibiotics being an unattractive market. The second panel focuses on research and the industry, he said, with two small companies engaged in antibiotics, and a much larger Japanese company. The third panel gathers governments and civil society, he said, and will look into the need for antibiotic stewardship. For example, he said, a representative of the Swedish Public Health Agency will talk about its strategy to incentivise companies to keep existing antibiotics on the market despite their low prices. UNCTAD and WHO are expecting a good debate and some clarification of how stakeholders see the needs for the future, Spennemann said. The two UN organisations seek to informally bring together small companies, and potentially interested investors, and launch an informal debate. "Antimicrobial Resistance At The World Investment Forum: UNCTAD, WHO Join Forces" by Intellectual Property Watch is licensed under a Creative Commons Attribution-NonCommercial-ShareAlike 4.0 International License.